Moderne Pro is a unique design concept where retro and modern merged into a vibrant and dynamic theme designed for bloggers that love to tell stories and express words to capture attention. 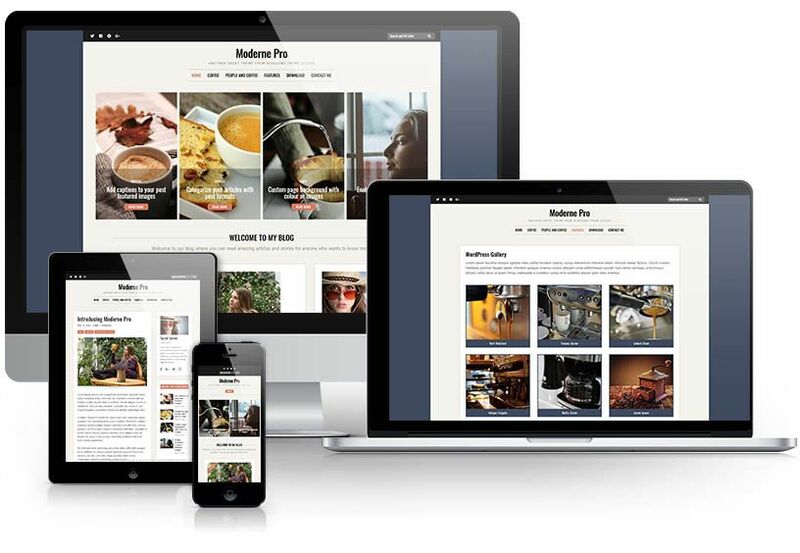 With a choice of many blog layouts, full post layouts, dynamic width sidebars, a flexible featured post slider, unlimited colours, and a ton of customization settings; Moderne provides all you need to quickly and easily create a stunning blog that you and your readers will love. Moderne supports nearly any width from boxed layout, as you see in our demo, to a full width layout (edge to edge), and is easily controllable using the Customizer. Here are several key features of the Moderne Pro WordPress theme, but not limited to what it offers! Choose one of two header styles from the default centered to a dark option with a slimmer design concept. With a major advancement with improvements, we added the option to use the version 5 or version 4. Recent Posts with thumbnails and an Author information widget with social icon links.